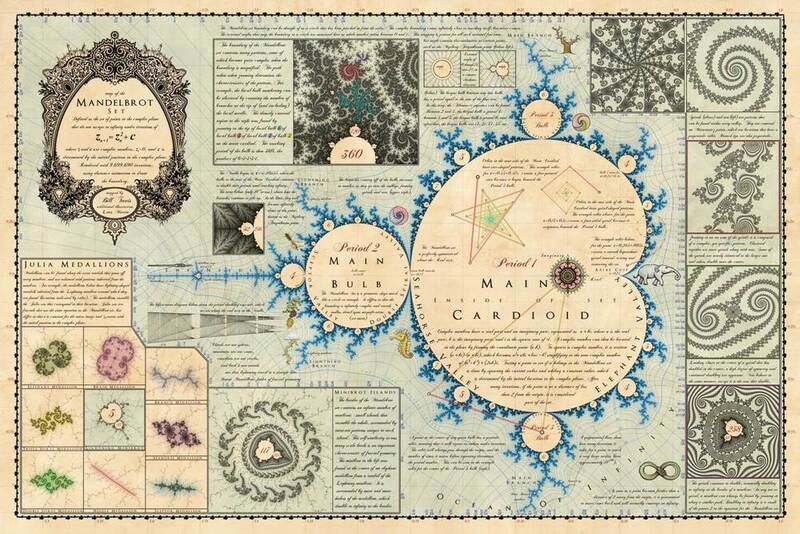 Meticulously researched and compiled, the Mandelmap poster functions as a thought-provoking guide to the astonishingly complex Mandelbrot set fractal. Click the image above to see a larger view, or click here to buy your poster. Several familiar locations labeled with their colloquial names, together with accompanying illustrations. 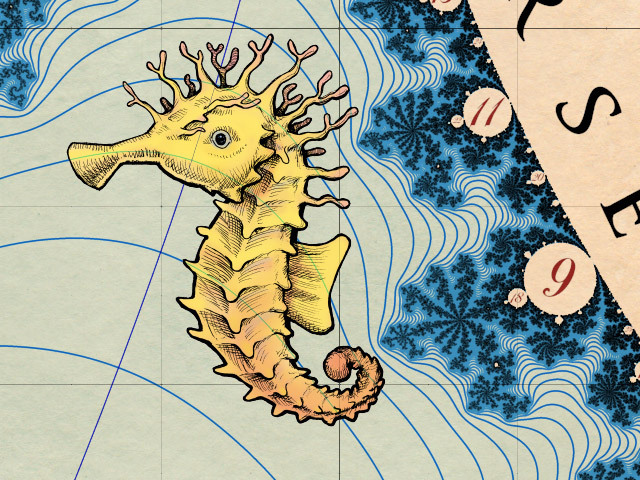 Find the Seahorse Valley, and see visually why it's named that way. Hundreds of bulbs labeled by hand according to period numbers. Count to infinity by even numbers, count to infinity by odd numbers, or even find the Fibonacci sequence! It's all there in the period numbering. Several high quality zoomed-in renderings, with detailed information describing how to find similar locations. Julia Medallions, the hidden treasures. Julia Sets are closely related fractals that use the same exact formula but in a slightly different way. Tiny Julia sets are contained within the border of the Mandelbrot set, and this poster shows you how to find them! 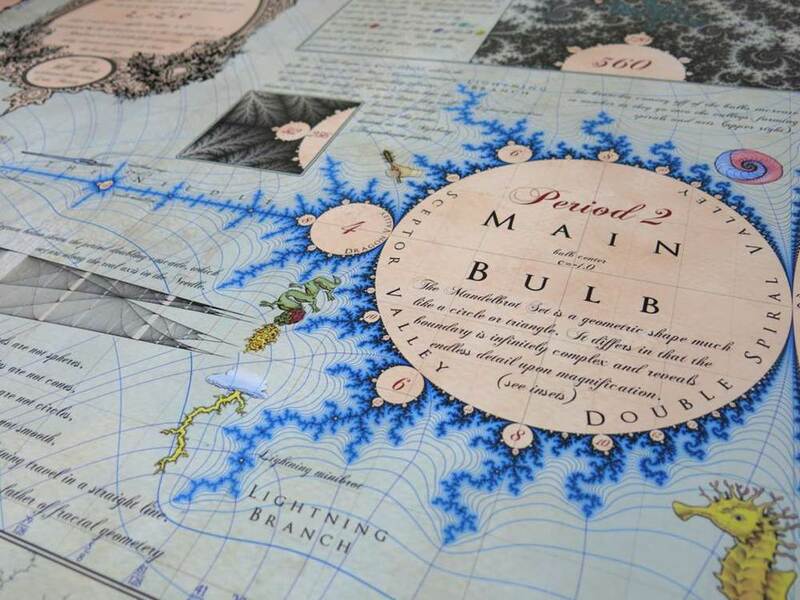 Learn about the poster, the Mandelbrot set, and the designer who put it all together. Get yourself a copy of the Mandelmap and start exploring!